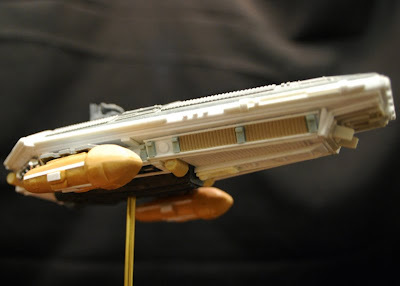 I recently was left with an awesome part form a Warp Models 1400 scale Keldon freighter, not knowing what to do with it... 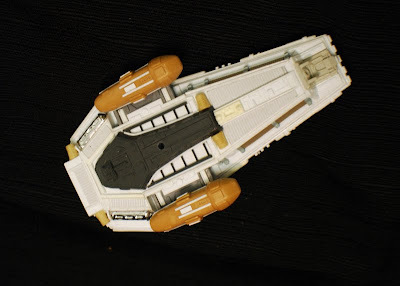 I was rummaging through my bits box found a few things and decided to make it into one of the dozens wedge shaped style freighters seen throughout Trek in TNG / DS9/VOY. 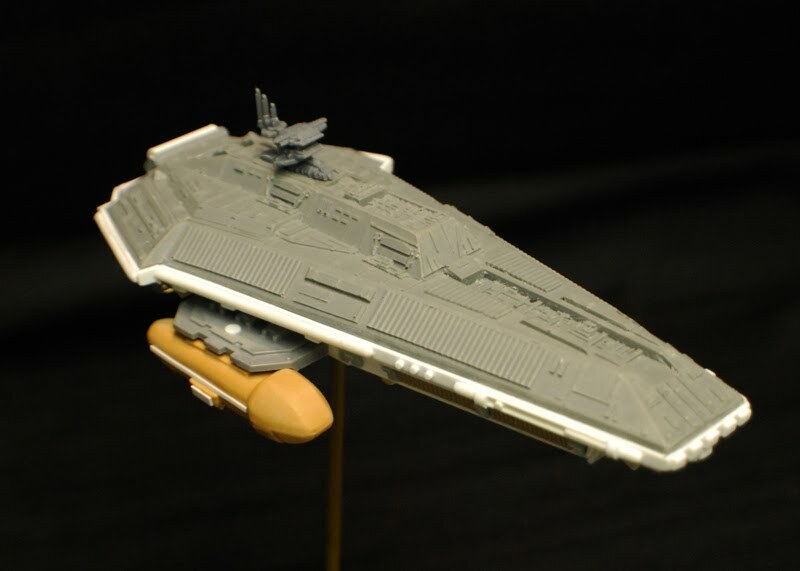 The original Studio Model was built for DS9 in season 1 or 2 and reused as several different vessel for different races, however it was most notable as a Bajoran Freighter or the Bajoran Assault Vessel. 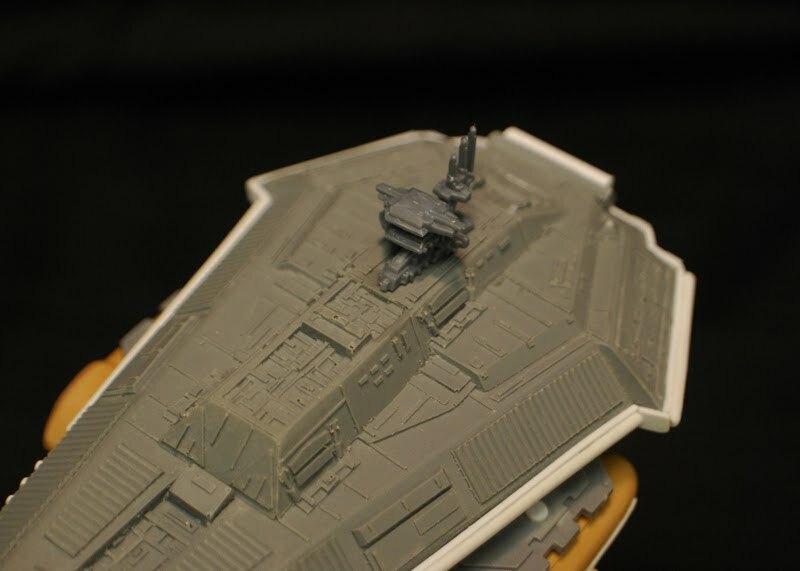 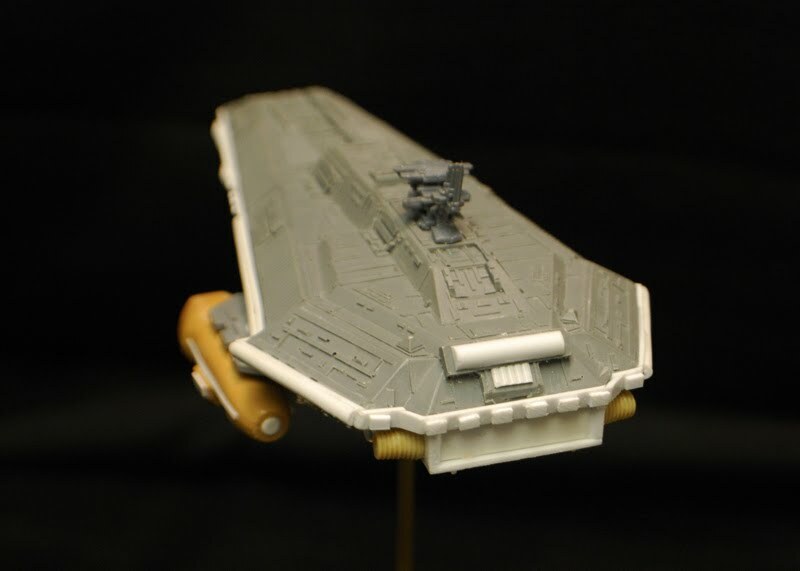 I completely scratch built the underside from sheet styrene and styrene shapes trying to simulate the detail on the topside as much as possible. 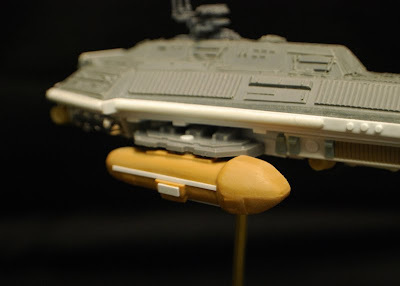 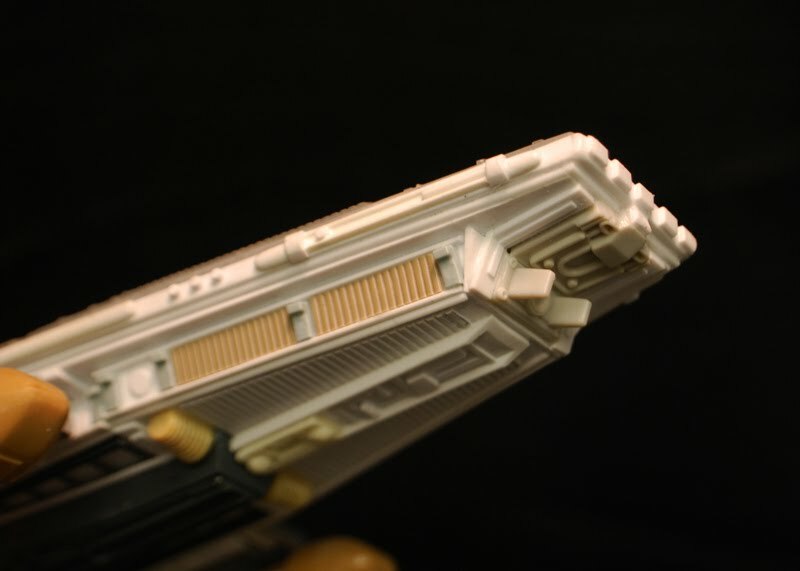 The nacelles were made from extra pod form a Kazon Torpedo Model. 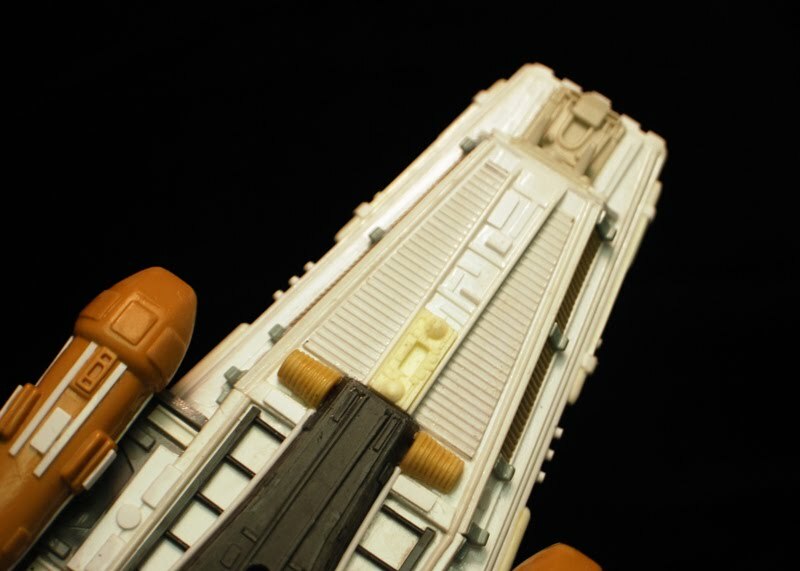 I'm making some custom decals for the nacelle warp grilles and the rear impulse engine. I have a a few Bajoran emblems from a PNT decal sheet that will go on as well.